TWIN ROLL MILL is widely used for masterbatch industries to evaluate the blending property of pigment in plastics materials. Kant Plastology cater the Robust and sturdy TWIN ROLL MILL by using high quality raw material and hi-tech technology under the supervision of highly qualified engineers. 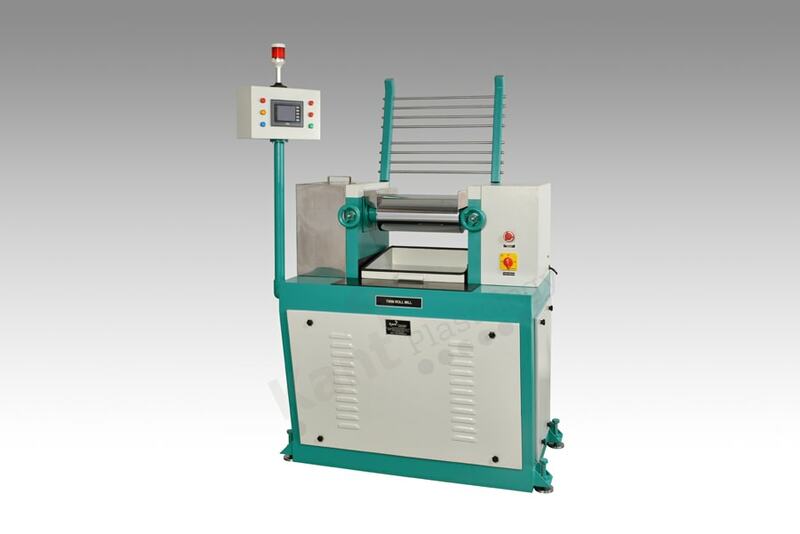 The TWIN ROLL MILL is incorporated with advance MMI control system and PLC base electronic components. The basic fundamentals of Structure design, Roll friction ratio, Machined parts and Safety systems are designed by expert engineers to provide optimum result.